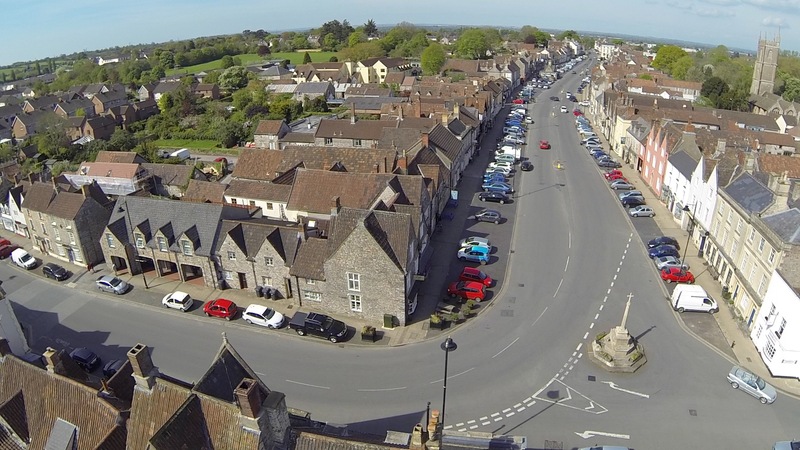 Chipping Sodbury is ideally placed as a refreshment break stop for coaches travelling north, south, east and west as it lies just minutes from the M4 and M5 motorways on the outskirts of Bristol. This picturesque town is within a conservation area and has over 120 listed properties within the main streets. There are a variety of building styles and rooflines making this Britain in Bloom Gold Award winning town an interesting place to visit anytime of the year. There are plenty of interesting independent shops and many cafes, coffee shops, pubs and restaurants. As well as stopping for refreshments visitors may like to take a walk around the town and learn about the significance of many of its buildings using our Circular Walk and Treasure Hunt leaflet available from the Tourist Information Centre. Car parking on the high street is free but can get quite busy, some areas are time limited.. There is a car park situated just off the Wickwar Road towards Waitrose on Barnhill Road that offers additional free parking just a two minute walk from the High Street. Cyclists. if you need to do some emergency maintenance there is a bicycle station at Waitrose with tools and a pump.